Reminder: If you are on the monthly tuition plan, tuition was due today. Please be sure to send it with your student next week. Cultural Events: Just a reminder that the students are to attend two cultural events over the course of the school year. This weekend there are two events you could attend (and complete your assignment! ): The Atlanta Greek Festival and Trinity Lutheran Church's Oktoberfest. After the students have attended their event, they need to write/type up a synopsis of the event. They should address these questions: What was the event? what culture did they learn about? How? What did they see/do/eat? These will be graded and each event counts as a test grade. Please let me know if you have any questions about and event you are considering or about the synopsis. Guest speakers - part of what makes this class awesome is having guest speakers from all over the world. If you know of someone who was raised in Europe who might like to speak to the class, please let me know! Today we began with a pop quiz that covered maps and terms we've been discussing in class. 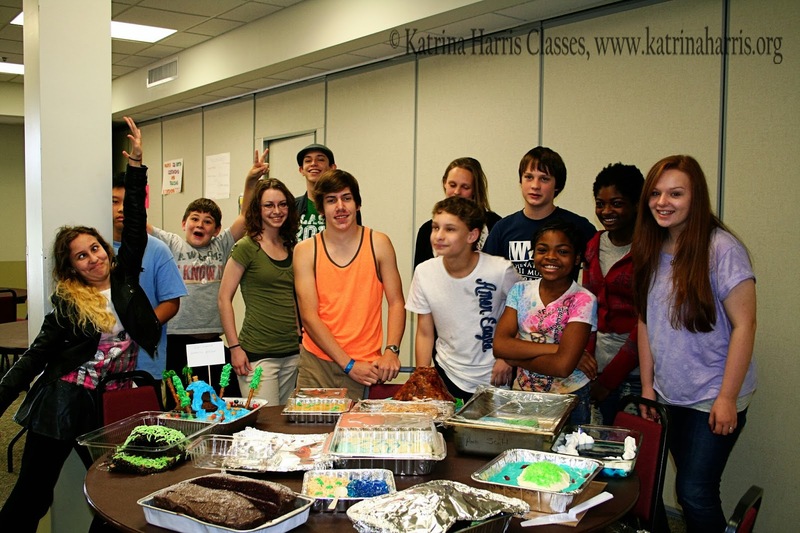 The students then presented their posters and edible landforms. I must say that the students were incredibly creative with their landforms - and I am on sugar overload from trying everyones creations! Upcoming: Next week we will begin by picking projects for our unit on Europe. Geography coloring book pages 20 and 21 (only do UK and Ireland on page 21). Before you begin, be sure to read the instructions at the beginning of the book (there aren't page numbers in this part - it's right after the table of contents). It's not simply a matter of coloring things in - there is a specific way to do it. You can actually consult the cover of the book to see a specific example of how your finished page will look.